The Cran family is related to the Man family through the marriage in 1947 of Allwynne Reis to Frank Otto Stoe Man. 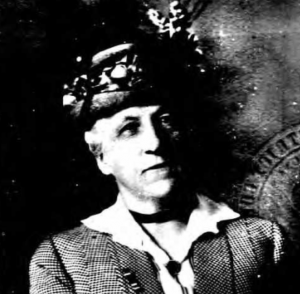 Ms. Reis’s mother was Winifred Simpson Cran who married Gordon Stanley Reis. Right is Winifred’s sister Joyce. Their parents were Alexander Cran and Annie Bennet. Alexander Cran was born on 27 August 1858 In Cabrach, Aberdeenshire, Scotland, the second youngest son of William and Ann (Kellas) Cran. He attended Aberdeen University from where he graduated with honors in medicine. 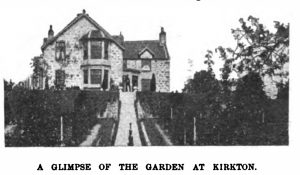 He left Scotland for England soon after, setting up a general practice in Great Harwood. Alexander Cran married Annie Bennet on 18 December 1895 at the Palace Hotel, Union Street, Aberdeen. On the marriage registry below, Alexander is aged 37 and Annie is 23. He gives his address as Great Harlow in Lancashire and Annie’s is ‘Breezy Nook’, Huntly. 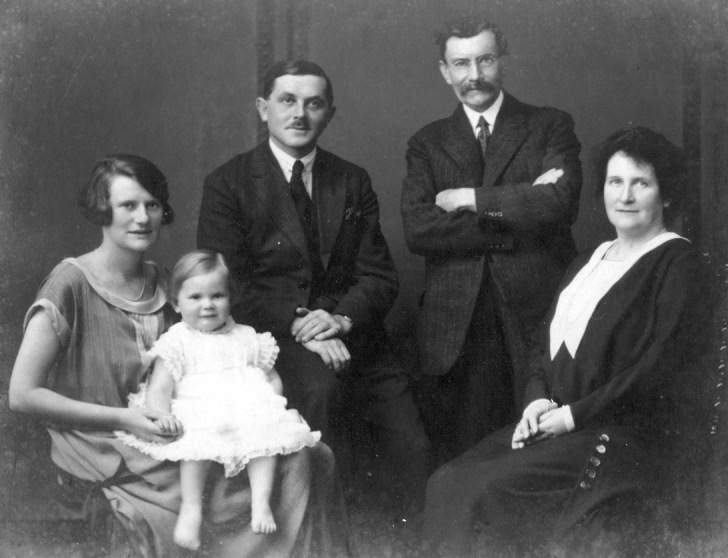 Below from left to right Winifred Reis (nee Cran) with her daughter Allwynne, her husband Gordon Reis, her father Dr. Alexander Cran and mother Annie Cran (nee Bennet). The main source of information on the early Cran family is from an article published in the Huntley Express of 12 June 1908 called ‘Notable Men and Women of Strathbogie: The Cran Family: A Record of Singular Talent‘, although there are inaccuracies and omissions which need to be addressed. To view the Alexander Cran family on the 1901 census click here (<— PDF). Alexander’s parents, William Cran and wife Ann (Kellas), have been found on the census for the British Isles of 1881. From this we derive the following information: William and Ann lived in a place called Mains of Lesmurdie, in Cabrach, Banff. His stated age is 76 and his place of birth is given as Rhynie, Aberdeen. 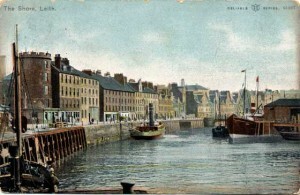 His wife Ann’s age is given as 64 and her place of birth is given as Cabrach, Aberdeen. 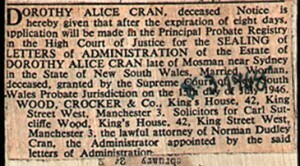 There are also three unmarried children in the household: Ann Cran aged 37, Robert Cran aged 30, and Elsie Cran aged 27. 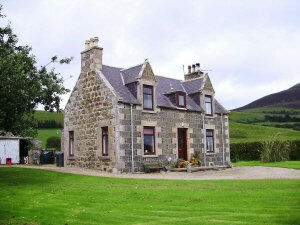 The place of birth of all three is given as Cabrach, Banff. 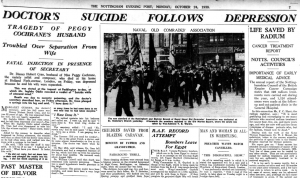 There also appear the names of four others: William Wilson, Peter Geddes, Robert Stracham and Mary McWilliam. Usually on the 1881 where the final names listed do not share the name of the head of the household (Cran) then these others are most probably servants or farm workers. William Cran died almost a year after the 1881 census was taken on 13 March 1882, aged 77. At the very end of this Cran page there are some notes on the Kellas family. The following is taken from: Aberdeenshire epitaphs and inscriptions : with historical, biographical, genealogical, and antiquarian notes by John A. Henderson published in 1907. Many members of families bearing the surname of Cran have tombstones, but as they nearly all descend from one stem, what follows will be more easily understood than a quotation of the inscriptions. The Scottish Crans are probably descended from the French baronial family of ” De Craon ” or ” De Cranno,” who flourished in the twelfth and thirteenth centuries. Certain it is that the family obtained a hold in Aberdeenshire about 1290, but probably the oldest tomb-stone inscription to a member is that in Fyvie Churchyard (see Fyvie) to Thomas de Cranno, vicar of the parish, who died in 1489. He is named (View of the Diocese) ‘ ‘ Sir Thomas Cranno, otherwise Vatson ” ; but the title had probably been applied as a courtesy one, and not as indicating the order of knighthood. In the seventeenth century, the family had a large representation in Forgue, Drumblade, and Huntly districts. Three brothers — James, John, and Robert Cran — were tenants of Belhinnie before 1740, and the two last-named were subsequently in Mains of Lesmoir. John Cran, who was born in 1760, had a son, Robert, who became tenant of Scurdargue, married Agnes Ingram, and died 29th August, 1828. Besides two daughters — Agnes and Jannet — they had two sons — Robert, who succeeded to Scurdargue, married Margaret Pirrie, and died 1st July, 1873, aged 85 ; and William, tenant of Mains of Lesmurdie, Cabrach, who died 13th March, 1882, aged 77. He married Ann Kellas, who survived him, and died in 1903, aged 87. 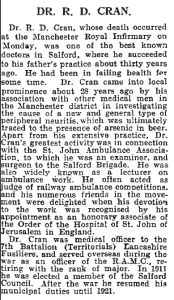 Dr Cran was a well known Salford Surgeon and was the Medical Officer for the Salford Union Workhouse. James Cran was born in Scotland on 9th June 1843. He took his MA degree in 1864 in Aberdeen and MD doctorate in 1868 in Edinburgh. Also in 1868 he became a Licentiate of the Royal College of Surgeons, Edinburgh. He came to Manchester shortly after gaining his qualification to be House Surgeon at the Ardwick and Ancoats Dispensary and then moved to Salford to take up private practice. However, he was appointed Medical Officer of No 3 District of the Salford Union (the Workhouse). James was of a quiet disposition and took no part in public affairs. 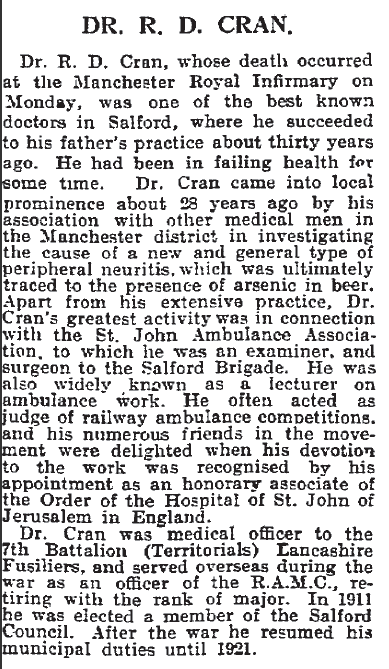 It was on Friday 4th June 1897, after suffering from ill health for a number of months, that Dr Cran died at his home, 187 Regent Road, Salford. He was almost 54 years of age. The funeral took place on Whit Monday in the Non-Conformist portion of Weaste Cemetery. It was a quiet occasion, in accordance with his wishes. The cortege left Dr Cran’s residence at 12 noon. The coffin was of polished oak with simple brass mountings and was carried in a Victoria car drawn by a pair of bay horses. 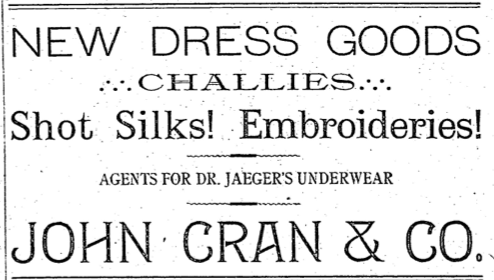 The first carriage contained his brothers Dr. R. D. Cran, Rev. 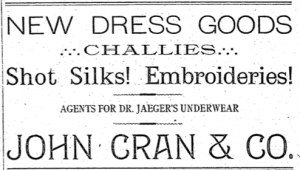 A. Cran and Mr James Cran. There were many letters of condolence to Mrs [Marion] Cran. The Service was read by Rev. J. Neil. James and Marion Cran had a son Robert David Cran. He married Janet Gertrude Thomson – 29, Spinster, on 20 June 1905 at Christ Church , Glodwick, Lancs. Robert was 31 years old, living at 247 Regent Road, Salford. Janet was the daughter of George Thomson, M. D., Surgeon. Witnesses were: James Alexander Cran; Alfred E. P. Thomson. 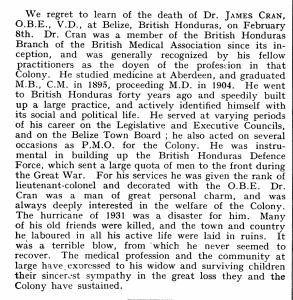 Another Cran who joined the medical profession was James Cran (b. 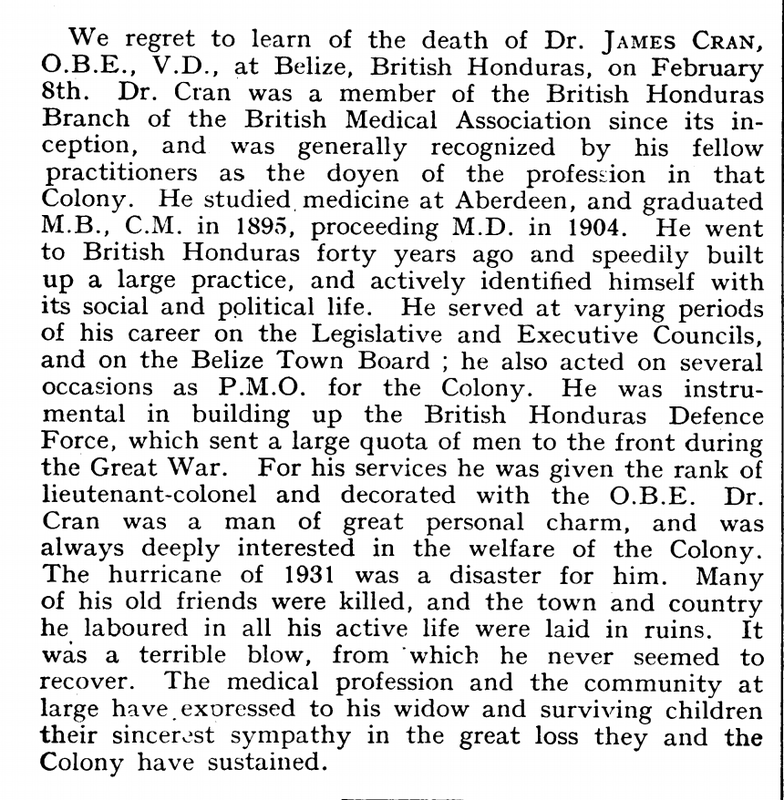 24 March 1870), who emigrated to British Honduras (today Belize). He would be a distant cousin of “our’ Alexander Cran. See also the page on Neil Fraser. Of William and Ann (Kellas) Cran’s daughters: Ann died at Huntly in 1903; Agnes was married to Rev. George Duthie, U.P. minister of Kinkell, Perthshire, and died on 26 March, 1871, aged 24, survived by a son, William Cran Duthie, who is now a doctor in Blackburn, Lancashire. (see his obit below). The above Robert Cran in Belhinnie, and subsequently in Mains of Lesmoir, who was born in 1717, married Agnes Alexander, and died 16th May, 1797. They had a large family, of whom James and Robert were in Mains of Lesmoir, John became farmer of Templand, and William of Farmton. The last-named Robert Cran married (1) Isobel Mair, and (2) Christian Duncan. Of the children of the latter marriage, Jean married Robert Troup, Rhynie, and Christian married John Cran, also in Rhynie. John Cran in Templand, who was born in 1758 (he died 2nd November, 1838). 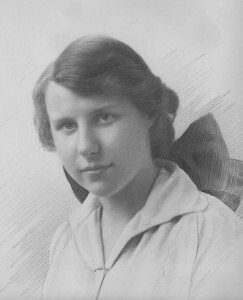 married (1) Jean Gordon of Bogenclough, of the family of Gordon of Birkenburn, cadets of the Lesmoir Gordons. They had two sons — James and John. The last-named, who was born in 1790, married his cousin, Christian Cran, of Mains of Lesmoir, and died in Muir of Rhynie in 1849. They had a family of two sons and two daughters — John, James, Christian, and Jean. The third building on the left (two after the tower) is Albert Engine Works of John Cran & Co, Shipbuilders. After the death of his wife Jean Gordon, the above John Cran, farmer, Templand, married, secondly, Ann Cruickshank ; and they had a family of six sons — William, in Mains of Lesmoir ; Robert, who died in Grenada on 26th December, 1820, aged 24; George, schoolmaster, Cabrach, who died 26th June, 1823, aged 25; Peter, who died 16th March, 1824, aged 23; Alexander, medical practitioner, Kildrummy, and thereafter in Tarland ; and James, who married Isabella Grant, became farmer in Templand and Newseat, and died 18th April, 1870, survived by a family. John’s brother James is manager of the Bank of British North America, Ashcroft, British Columbia; William is a retired farmer ; George, M.D., is in practice at Banchory Ternan ; while Robert, M.D., now deceased, practised in Assam and subsequently at Ballater. The eldest son, Alexander, and the second daughter, Margaret Harper, are also deceased. The other daughters are Anne Erskine ; Mary, who married Dougall Christie ; and Isabella, wife of William Shepherd, Bellastraid, Dinnet. William Cran in Mains of Lesmoir, who was born in 1794, married Jannet Cran, and died 26th December, 1866, survived by a family of whom John is now tenant in Mains of Lesmoir. William Cran in Farmton, who was born 16th October, 1760, married Ann Morrison, and died 30th December, 1842, survived by a family, of whom Peter was a farmer at Morlich, Towie. His son, George Cran, is the present tenant of Morlich, and is famous for his herd of Aberdeen-Angus cattle. A brother of his is Alexander Cran, M.A., Ph.D., Litt.D., of Edinburgh High School. 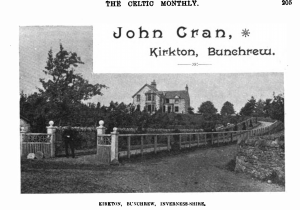 The following biographical sketch of John Cran appeared in The Celtic Monthly: A Magazine for Highlanders, Volume 6, August 1898. JOHN CRAN was born at Mains of Lesmurdie, I7th December, 1841, and is the eldest son of a large family of sons and daughters. His parents both belong to Aberdeenshire, his father, William Cran, being the younger son of John Cran, farmer, Scurdargue, Rhynie, and his mother, Anne, daughter of John Kellas and Elizabeth McHardy of Aldivalloch. In 1841 his parent removed from Scurdargue to Mains of Lesmurdie, where they resided until Mr. Cran’s death in 1882. The spirit of agricultural improvement was very strong in the late Mr. Cran, and notwithstanding his being educated for a professional career he chose the life of a farmer, and during the forty years that he occupied the Home Farm of Lesmurdie he reclaimed and added some fifty acres to it, built a new steading and some six miles of stone dykes; he also created a second farm about a mile apart, by reclaiming upwards of a hundred acres from moorland and bog into arable land, erected a complete steading and dwelling houses, and several miles of dykes, and all at his own expense. The only remuneration he received from his landlord being one of faith and hope for future generations, viz: a lease on favourable terms which expires in 1911. These farms are now occupied by the third son, and the farm of Scurdargue by the second, while the two youngest sons are prosperous members of the medical profession in England. The subject of our sketch received his education chiefly at the public schools of Rhynie and Huntly, and was early taught to become self reliant. At the age of fifteen years he began business in a small way on his own account as a grazier, and at that age he attended such markets as Muir of Ord for the purchase of stock, where he received many rebuffs on account of his youth. 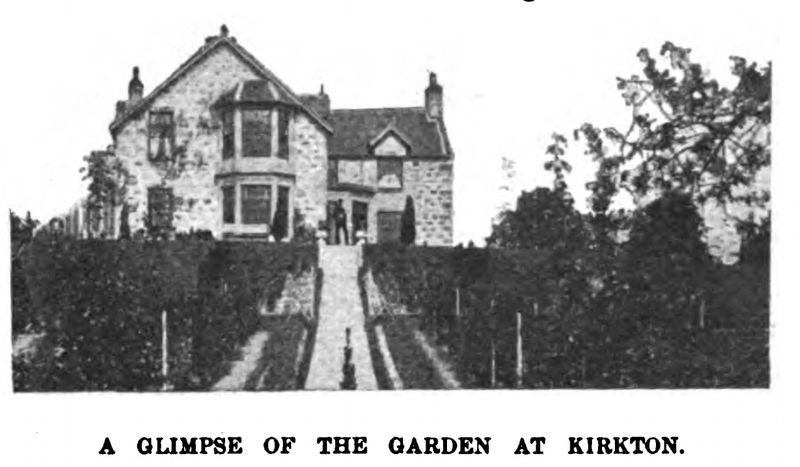 He continued trading in cattle, sheep, wool, grain, etc., and assisting his father until 1869, when he took a lease of the farms of Kirkton and Englishton, and subsequently the adjoining farm Phopachy. In the spring of 1870 he erected fertilizing works at Bunchrew, and began operations upon a small scale, gradually increasing the business by dint of active and persevering effort, until in 1885 the concern had assumed such large dimensions that it was found advisable to convert it into a limited liability company, Mr. Cran retaining the post of Managing Director. In 1887 the works of the late Mr. Munro, Invergordon, were acquired, and have since been considerably extended. Messrs. John Cran & Co., Ltd., are the only firm north of Morayshire possessing such works as Bunchrew and Invergordon, and besides the very large output of chemical fertilizers they maintain at these places, they are extensive importers of all kinds of cakes and feeding stuffs, and also deal in and export grain, potatoes, hay, and all kinds of farm produce. 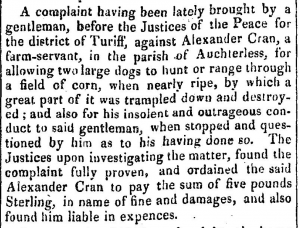 During Mr. Cran’s occupancy of the farms he has spent large sums of money in reclaiming waste land, draining, building, etc., which was quite outside any ordinary tenant’s province; it, however, shows his hereditary spirit, his attachment to the place and his faith in the honour of the Lords of Lovat, for whom he cherishes the highest, yea almost adorable respect. 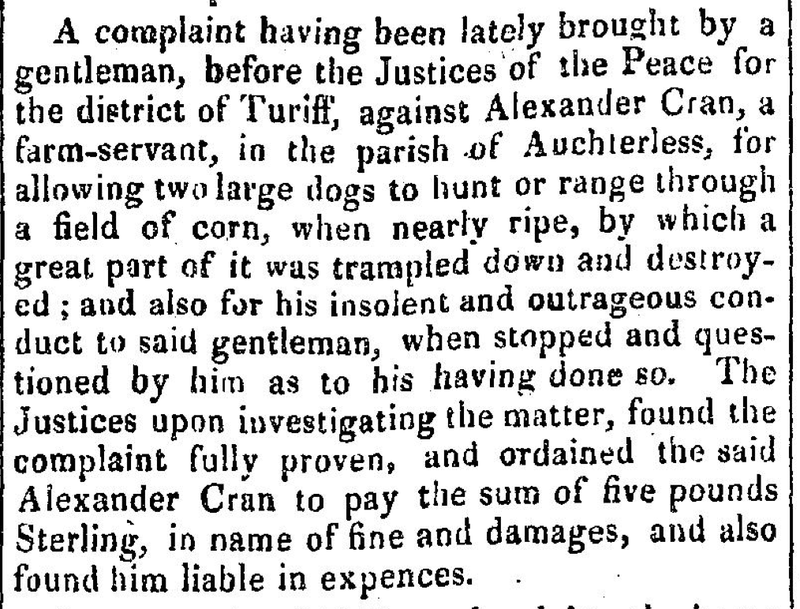 During Mr. Cran’s residence in Inverness-shire he has taken his share in public life. For ten years he acted as Hon. Secretary and Treasurer of the Northern Counties Cattle Show Club, and during his tenure of office removed an incubus of several hundred pounds of debt from the club, increased the premium list four-fold, and left a handsome balance to his successor in office. During his first twenty years of farming he evinced great interest in breeding and feeding cattle, and owned both Shorthorn and Polled herds which he exhibited at local and provincial shows successfully, as the many handsome trophies at Kirkton testify. Mr. Cran often acts as a judge of stock at local and provincial shows, and frequently at the Highland and Agricultural Society’s Show. Mr. Cran is a J.P. and County Councillor for Inverness-shire, Director of the Highland and Agricultural Society of Scotland, Managing Director of John Cran & Co., Ltd., Director of the British Oil & Guano Co., Ltd., and other Industrial Companies, also a F. S. A. Scot. Mr. Cran was married to Georgina, youngest daughter of the late Mr. Smith, Baitloan, Nairn, who died some twenty years ago and left issue, a son and daughter. Joyce was the third child of Alexander and Annie (Bennet) Cran. She attended school at Wycombe Abbey and Dartford College in England. 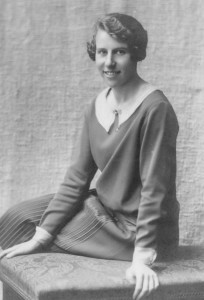 Joyce played lacrosse for Scotland in 1923 and 1924. She was a member of Edinburgh Ladies. 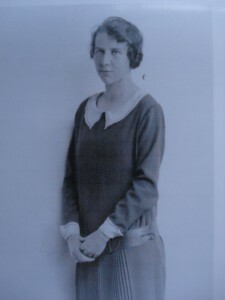 She arrived in the United States in 1925 to teach at Miss Applebee’s camp in the Poconos. 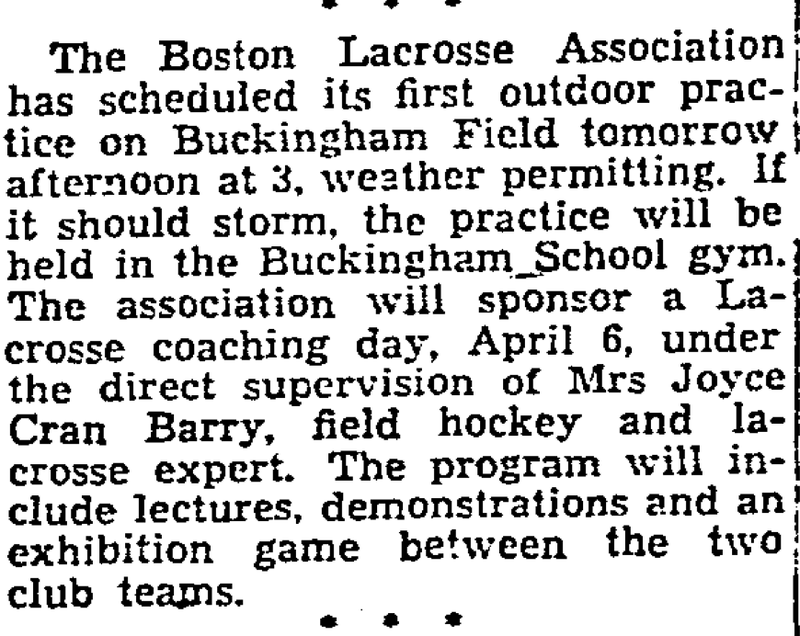 The day she was to sail home to England, she was offered a job at Wellesley College where she taught and coached field hockey. 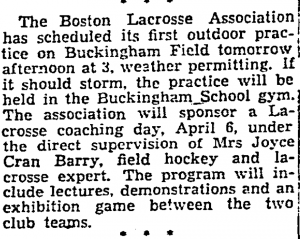 Joyce served as the first president of the United States Women’s Lacrosse Association from 1931 – 1935. She chaired the US Team Selection Committee from 1950 – 1951. Joyce often drove her motorcycle to local private schools where she coached field hockey and lacrosse. She was often described as a woman way ahead of her time. Joyce passed away in 1964. Fettes. OTC 1911-15, L/Corporal. 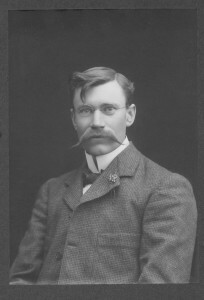 Student of Medicine, 1915. OTC Artillery, May to December 1915, Cadet. RFA (Territorial Force), 2nd Lieutenant December 1915; Regulars, September 1916; Lieutenant March 1918. Wounded. 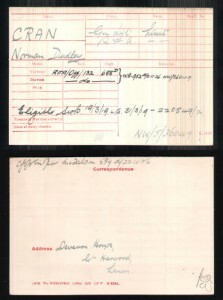 Invalided out April 1919. Also found the record of his army medal award but what the medal was cannot be made out, nor what it was for. His rank appears to be Lieutenant. One anecdote from family lore concerning Norman is that after the Battle of Salonica (1918) a pair of feet was found sticking up through the mud with two fine leather boots attached. A soldier seeing them began to pull them off only to discover Norman still alive at the other end. The family claimed that Norman suffered from PTSD as he was supposedly “never right in the head” after WWI. It appears that he did not take up his medical studies. Norman did not, as far as we can tell, have children. 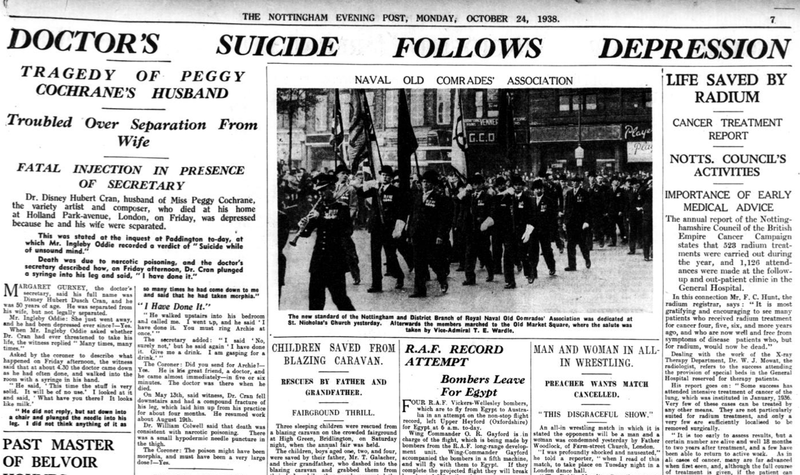 Below George Cran’s burial that took place on 16 December 1934. George was the third cousin of Alexander Cran. To read the Sermon on the Death of George Cran click HERE (<— PDF). CRAN, ROBERT (1821-1894), JOHN (1848-1935), JAMES (1850-1922) and ROBERT (1856-1940) were sugar manufacturers in central Queensland. Robert senior was born on 6 August 1821 at Towie, Aberdeenshire, Scotland, son of John Cran, farmer, and his wife Jean, nee Petrie. 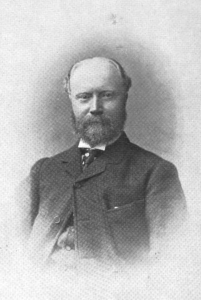 He married Elspeth Winks at Aberdeen in 1847 and John, the eldest of their nine children, was born there on 14 January 1848. The family migrated to Queensland in 1849. Cran was a stockman at the Albert River in 1850. He was at Lagoon station, Myall Creek, in 1856 and next year was employed by Robert Tooth on Jondaryan station. He was at Pikedale, near Warwick, as a superintendent in 1861, and became manager of Tooth’s boiling-down works and abattoir on his property at Yengarie near Maryborough in 1865. It soon became a beef extract plant and Cran became a partner with Tooth and others in a firm known as Tooth & Cran. John, Robert junior and other members of the family became sub-managers in the Yengarie plant which soon won a sizeable export trade. When sugar-growing started round Maryborough in the mid-1860s, the beef extract plant was adapted by experiment to sugar refining, thereby avoiding the consequences of increasing cattle prices. Yengarie superseded most of the pioneer sugar-makers, taking the juice from local crushing mills through a network of pipes. It was probably one of the first plants in the world to apply to cane the double carbonation process, used hitherto only for beet sugar. When two of the Tooth family withdrew in March 1872, the firm became Robert Cran & Co. During 1880 it was accused of allowing excessive mortality among employed Melanesians by poor feeding, bad water, overwork and absence of proper care for the sick. Despite ten per cent mortality in 1879-80, the accusation was denied by the firm and the matter was not pursued. When rumours reached the neighbouring town of Bundaberg that Crans were seeking other localities for investment, a leading businessman published an invitation in the Bundaberg Star in March 1875 for the establishment of a refinery which would help the district to change from maize to sugar-growing. John Cran and his brother Robert surveyed the district in April 1876 and were impressed by the rich volcanic soil of the Woongarra scrub. They returned next year to assess cane supplies and decided to open a plant. John Cran launched the building programme in June 1878. Financing the initial investment of about £310,000, mainly from Victoria, took time and in the interim some growers unsuccessfully approached the Colonial Sugar Refining Co. Robert Cran senior went to England for machinery late in 1880, and in 1882 a ball hosted by the Cran family launched the Millaquin refinery. Within a decade it was unable to handle all the local production; by 1887 there were five new crushing mills, including one owned by Cran Bros and Frederic Buss, and twenty new plantations in the district. The sugar industry underwent radical structural changes in 1890-1915 and the Cran properties were mortgaged to the Queensland National Bank. Flood damage and the financial crisis of 1893, followed by the transition to white labour, upset the solvency of the firm, and in 1896 the bank foreclosed. Robert senior died of pneumonia at Millaquin on 16 December 1894 and was buried in Bundaberg general cemetery with Presbyterian forms. His estate, valued for probate at £223,540, was left in trust for his family. 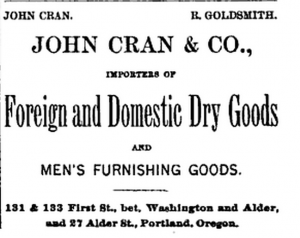 John was head of Robert Cran & Co. until 1896. In 1902 he joined Buss in launching the Farleigh Estate Sugar Co. Apart from his position as a director, he took little part in management and lived in retirement. 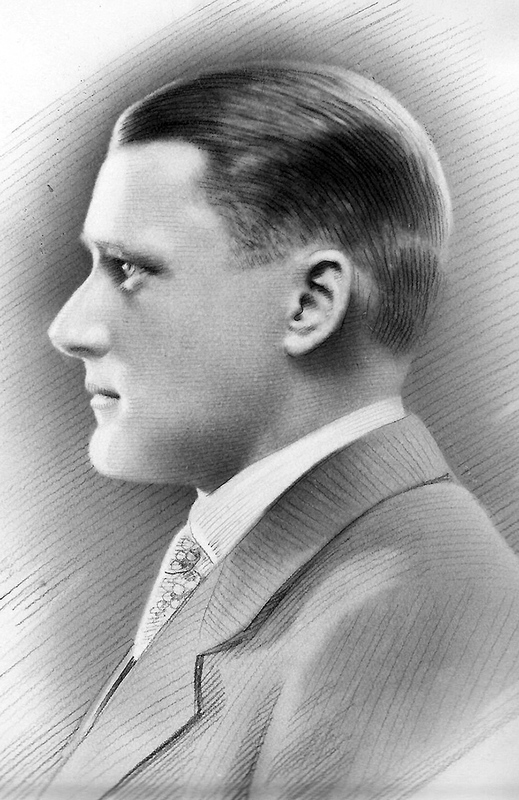 Initially prosperous, the company suffered severely from the disruptive effects on the industry of World War I; when it went into voluntary liquidation in 1926, John Cran stayed on the board of the co-operative which succeeded it. He was a justice of the peace in 1886-1919, an enthusiastic Freemason, and a member of St Andrew’s Presbyterian Church, Bundaberg; but much of his private time was devoted to local government. Unmarried, he died in Bundaberg on 24 September 1935, was buried in Bundaberg general cemetery and left an estate valued for probate at £52,489. James was born at the Albert River on 28 July 1850 and joined his father in Yengarie while young. On 21 June 1876 at Tamworth, New South Wales, he married Jane Irving; they had five children. When the others went to Millaquin, he stayed to manage Yengarie and, when it finally closed down, he began sugar-planting at Duncraggan near Bundaberg as a partner in Buss, Williams & Cran. He was later on a plantation called Mon Repos. He died at Maryborough of bronchitis on 22 April 1922 and was buried in Maryborough cemetery. He was widowed about three years before his death and his estate, valued for probate at £3922, was left to his unmarried daughter. Robert junior was born at Lagoon station, Myall Creek, on 4 May 1856. Employed initially as a clerk by the Commercial Banking Co. of Sydney, he left soon to join the family enterprise and managed Yengarie for a time. When it was lost he mustered sufficient capital to move to Sydney in 1903 and set up as a sharebroker. On 6 April 1887 at Brisbane, he had married Annie Mary, daughter of Sir Charles Lilley. Another brother, Alexander, married her sister. When Robert died on 16 December 1940, he left a well-established business which still survives and an estate valued for probate at £39,992. Inclined to be dour, the Crans were not prominent public figures but were involved in local government. John, James, and Alexander were members of the Woongarra Divisional Board-John was a member in 1885-96 and chairman in 1886-87 and 1890-94; his brothers were members in 1902. James was a member of the Tinana Shire Council in 1912-15 and chaired it in 1916-17. All the principal members of the family served on the Antigua Divisional Board in 1880-99. J. Y. Walker, The History of Bundaberg (Brisb, 1890); N. Bartley, Opals and Agates (Brisb, 1892); G. E. Loyau, The History of Maryborough and Wide Bay and Burnett Districts from the Year 1850 to 1895 (Brisb, 1897); H. Turner, Rural Life in Sunny Queensland (Bundaberg, 1955); C. T. Wood, Sugar Country (Brisb, 1965); Farleigh Co-operative Sugar Milling Association Ltd, Golden Jubilee, 1926-76 (Mackay, 1976); J. Nolan, Bundaberg History and People (Brisb, 1978); Votes and Proceedings (Legislative Assembly, Queensland), 1880, 1, 71 and 2, 409; Australian Sugar Journal, 6 Jan 1922, 8 July 1926, 10 Oct 1935, Sept 1975; Australasian Insurance and Banking Record, 21 Jan 1941; Bundaberg Star, 17, 19 Mar 1875; Bundaberg Reporter, 6 Mar 1888; Brisbane Courier, 19 Dec 1894. Print Publication Details: J. G. Nolan, ‘Cran, Robert (1821 – 1894)’, Australian Dictionary of Biography, Volume 8, Melbourne University Press, 1981, pp 137-138. The ruins of the Sugar Refinery on Graham Creek at Yengarie are the remains of an important industrial complex, which began operations for the firm of Tooth and Cran in the 1860s. It produced meat extract before working as a sugar mill and then as a major refinery that serviced many plantations and mills in the area before closing in 1899. Robert Tooth was born in 1821 and was the son of a hop merchant in Kent and nephew of a Sydney merchant and brewer who also owned numerous cattle runs. Robert and Edwin Tooth leased their uncle’s brewery in 1843 and were joined by their brother Frederick in 1853. Robert speculated in pastoral properties and gold during the 1850s and was briefly involved with politics in New South Wales. He was also Director of the Bank of NSW in the 1850s and 60s and Director of the Colonial Sugar Refining Co, of which he was a major shareholder, between 1855 and 1863. He owned several pastoral properties in Queensland and in 1857 employed Robert Cran, first on Jondaryan Station and then as a supervisor at Pikedale. Cran was the same age as Tooth and had come to Queensland from Scotland in 1849. He first worked as a stockman and was employed on several properties by Tooth until he became manager of Tooth’s boiling down works and abattoir at Yengarie in 1865. When the Maryborough Agricultural Reserve was thrown open for selection in March 1862, one of the first selectors was W C Giles, acting as agent for Robert Tooth of Widgee Widgee Station, who bought Lots 3 & 4 fronting the Mary River immediately below Graham’s Creek. Tooth sold Widgee Widgee to JC White, who was his manager at Jondaryan. White set up a steam powered abattoir and boiling down works on the Yengarie land in 1863 but was financially ruined when pleuro pneumonia killed most of his cattle the following year. Tooth foreclosed on both the station and land. Robert Cran then took on the mortgage of Widgee Widgee and Giles leased the Yengarie land for agistment, though he also became insolvent in 1865. Tooth was interested in the preservation of beef before refrigeration was available and the boiling down works was adapted with modern equipment as a meat extract plant, using Leibig’s process. Tooth and Cran went into partnership with F F Nixon, Robert Lucas Tooth and Frederick Tooth as Tooth and Cran, the meat extract they produced winning a prize at the Intercolonial Exhibition in Sydney in 1870 and also receiving a prize at Amsterdam. By 1867 Yengarie had become a major business enterprise with bone crushing, wool washing and hide tanning divisions surrounded by what had become a small settlement. Sugar was becoming increasingly important in the area and in 1867 Cran let contracts for clearing and planting cane and prepared to erect a sugar mill to work in conjunction with the meat extract factory. The first boiling in open pans began in October 1868. This produced a small-grained white sugar, immediately recognised as the best sugar available in the Maryborough area at the time. In 1869 a superior new process was installed under the supervision of Tooth, who was modern and innovative in his approach. The works at Yengarie were continually upgraded to keep pace with new developments and an increasing workload. In 1870 the mill was expanded. New and larger boilers were installed and charcoal retorts added to utilise bone waste for refining sugar. A distillery was installed and J T Annear constructed a brick chimney. From 1871 Yengarie operated as a refinery, juice being supplied by mills in the surrounding area, many of which were constructed in the 1870s. The partners owned plantations at Yengarie, Yerra Yerra and Irrawarra. Melanesian indentured labourers were employed in both the refinery and at the plantations, as they were on surrounding properties. With the increasing emphasis on sugar in the district, it was decided to close the meat extracting works in 1873. In the same year a horse-drawn tramway was constructed to the mill for conveying firewood, cane and later, juice. Juice mills were central to the sugar making process at Maryborough and by 1883, 28 small mills were sending juice to Yengarie by punt or through a network of pipes. At the height of its production, Yengarie produced three grades of sugar, rum, treacle and tar. The refinery became a very large undertaking comprising a factory, store, laboratory, distillery, brickworks, limekilns and wharves with a small township developing to accommodate workers and their families. Tooth and Cran also had their own steamer, the Nowra, which took sugar and rum to Maryborough for shipment south. From the 1870s gas produced to light the refinery was also piped to light the township, a luxury not then available in Maryborough. In 1875 the partnership with Nixon and Croft, the manager of Yerra Yerra, was dissolved and Tooth left for England, leaving Cran in charge. Tooth began a new refinery, also called Yengarie, in the Philippines in his own name. The Tooth and Cran partnership was dissolved in 1879 and Robert Cran and Company ran Yengarie. In 1880 Cran spent some time in Europe arranging for machinery for a new refinery he planned to build in Bundaberg. This was opened in 1883 as Millaquin and Cran provided land at Yengarie for a short branch line and siding to connect the complex to the state railway. In 1885 there were 40 mills and 5 distilleries along the Mary River, although production and sugar prices began to fall. In 1889 Cran and Company opened a crushing mill at Doolbi to provide juice to Yengarie, thereby supporting the development of cane growing in the Isis area. The 1890s brought problems due to depressed sugar prices and major changes in the sugar industry. Central mills servicing independent white farmers replaced the big plantations run by indentured labour, licenses to recruit Melanesian workers having ceased after December 1890. A number of plantations and mills closed and, by 1892, it was reported that much of the land along the Mary River was no longer under cultivation, or was growing crops other than sugar. The major flood in 1893 also damaged plantations and farms along the river and caused severe damage to the refinery. When Robert Cran died on 16 December 1894 he was insolvent and the Queensland National Bank took over his assets. The Yengarie site was permanently closed in 1899 and the land at Yerra Yerra, Irrawarra and Yengarie was cut up and sold between 1905 and 1908. James Mahoney, who owned a butchering business next to Yengarie, had occupied the land since 1900 and purchased it in 1908, using it for dairying, which became a major business in the area. His great grandson still owns the land. The roof of the main refinery building was destroyed by fire and storm in the 1930s and 1940s. Numerous galvanised iron sheds at the southern end of the refinery were removed, as were worker’s houses, a butcher’s shop and a smithy associated with the refinery. Part of the refinery building was used as a cattle dip until the early 1950s. Over the years the machinery was removed and dispersed. The boilers were the last major piece of equipment to be removed and were sold for scrap in 1964. The brick chimney, having become unsafe, was demolished in 1983. Evidence for the placement of machinery can still be seen in the form of concrete mountings, pits and shafts. The front and one side wall of the main building and sections of the other walls remain, though invaded by vegetation, particularly by a number of large fig trees growing within the building which have given the ruins a picturesque quality. Description The refinery ruins are located on Graham’s Creek, a tributary of the Mary River, 1 km south east of Yengarie siding and 9 km south west of Maryborough. There were once wharves on the creek but these are not now evident. The most striking feature of the site is the standing ruin of the main refinery building, measuring approximately 32 x 20 metres, as sections of brick, stone and pise walls on pise foundations. Most of the front wall remains and is pierced by a series of openings with round arched heads. Most of the wall on the side facing the river also remains standing but the other walls have collapsed. The building contains a large tank and several mature fig trees, the roots of which have penetrated the walls and foundations. The walls are buckled and slumped and have several large vertical cracks. Concrete mounts for equipment are visible on the north eastern side of the building and although much of the site is overgrown with vegetation, it is believed that other evidence of use remains, including pits and a shaft leading down to a water channel. The presence of these obscured pits prevented safe inspection of some parts of the site. The area is scattered with loose bricks, some of which were made on site and are considerably more friable than others that bear the imprint of Brown & Sons of Paisley or manganese bricks from the chimney. Rubble from the machinery shed forms a mound about 100 metres behind the refinery building. Maintenance sheds were to the north of the refinery building. The line along which the tram track passed is visible approximately 20 metres in front of the building. Other sections of line ran behind the mill and to the west, but these cannot readily be seen. Information about places in the Queensland Heritage Register is maintained by the Environmental Protection Agency under the Queensland Heritage Act 1992. Information available here is only part of the full Register entry and should not be taken as an official entry. Absence does not mean a particular place is not in the Register. WILL BE SOLD NOVEMBER 5. 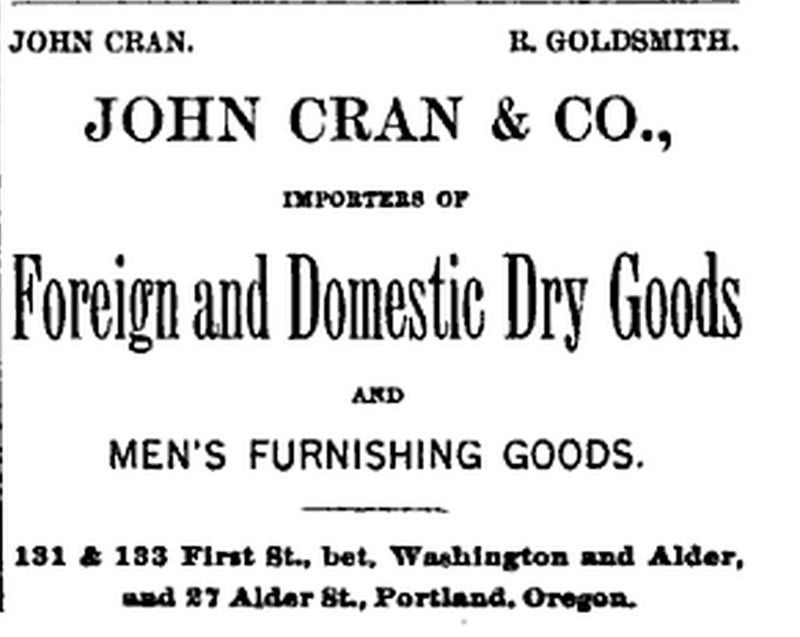 Sale of Stock: of John Cran. & Co., Bankrupt. The undersigned, trustee of the estate of John Cran, bankrupt, will receive sealed bids for the entire stock and fixtures of the store of John Cran, situated at No. 256 Washington street, Portland, Or., up to the hour of 12 o’clock noon of the 5th day of November, 1901. Terms of sale cash; sale subject to approval of the court. Right Is reserved to reject any and all bids. Inventory of stock and fixtures may be seen at the office of Alex. Sweek, Referee in Bankruptcy, Portland, Or., or at the store of John Cran, No. 2S6 Washington street, Portland, Or., or at the office of Board of Trade, San Francisco, Cal. All bids must be addressed to the undersigned at office of Alex. Sweek, Referee in Bankruptcy, Portland, Or., and each bid must be accompanied by 10 per cent of the amount of the bid in cash or certified check. ANNA M. CREMEN, Trustee of John Cran & Co., Bankrupt. Stock open to inspection from 10 to 12 and 2 to 4. TAILOR SUITS. One hundred choice patterns in latest Fall and Winter shades just received- Prices for suits 518 50, $20 00, $22 50, $25 00 and $27. 50. Pants $5. 00 up. 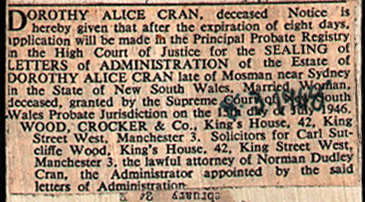 Below John Cran’s widow Isabelle. The photograph comes from her passport application. Baptismal Entry from Cabrach OPR?s: 1727 February 19: Alexander Calles/Kellas had a natural son baptised, John Calles/Kellas his brother being sponsor and taking on of vows, called John. (Based on interpretation from written entry). 1726 December 4 The session being met and [ante] by prayer . . . . There being a flagrant request of Janet [Fettas] [for … ting (fornicating?)] to Alexander CALLES in Tornichelt [is with] child and being [cited] to this [district] being called did com[pear] and being interrogated [ ]anent and acknowledge of same of [great/gabe] […ys] Alexander Callas Younger [in….] Tornichelt, an unmarried man as if [payment (Payt)] [?? of ??] after grate (cf gabe above) exhortation she was cited; agreed [ ] to of next meeting and of [ ] Alexander Calles was appointed to be cited [to] [is …] district. Closed with prayer. 1726 December 18: Alexander Calles being cited and called did [compear] and acknowledged his guilt [out of a …] Janet Fettas and being suitably [on betted] did engage to make his publick appearances when required, and to pay his own and [the] woman?s penalties. The [wife] Janet Fettas is appointed to begin his publick appearances [at] next Lord?s day. Closed with prayer. 1727 January  Janet Fettas appeared this day [first] and was rebuked. 1727 January 8 Janet Fettas did appear this day (the 2nd) and was rebuked. 1727 January 15 Janet Fettas did appear this day (3rd) and, being rebuked, was absolved. 1727 February 12 Alexander Callas did appear this day (the 1st) and was rebuked. 1727 February 19 Alexander CALLAS appeared this day (the 2nd) and was rebuked; and the said Alexander had a son baptised [? ?] of this instant called John, John CALLAS, his brother, being sponsor. 1727 February 26 Alexander CALLES did appear that day (3rd) and, being rebuked, was absolved. In the entry for his marriage to Isobel Grant it is mentioned that Alexander is the youngest son of Alaster Calles in Tornichelt.